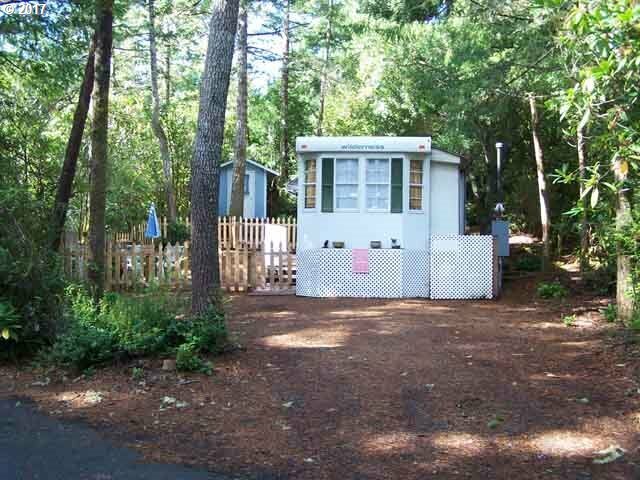 2 bedroom Travel Trailer - Refurbished 'Cottage'is clean, and cute as a button. All furnishings included. Bring your tooth brush and move in. Laminate floors and some 'Bling'! All furnishings included! Fenced yard for pooch! Storage Building. Off street parking complete with a "Princess Parking" sign. This cozy charmer is on a corner lot in popular Coast Village.